The London Boat Show was first held at Olympia and eventually moved to the Earls Court Exhibition Centre in 1960 where it remained until 2003. It has since moved to the ExCeL Centre in London Docklands. 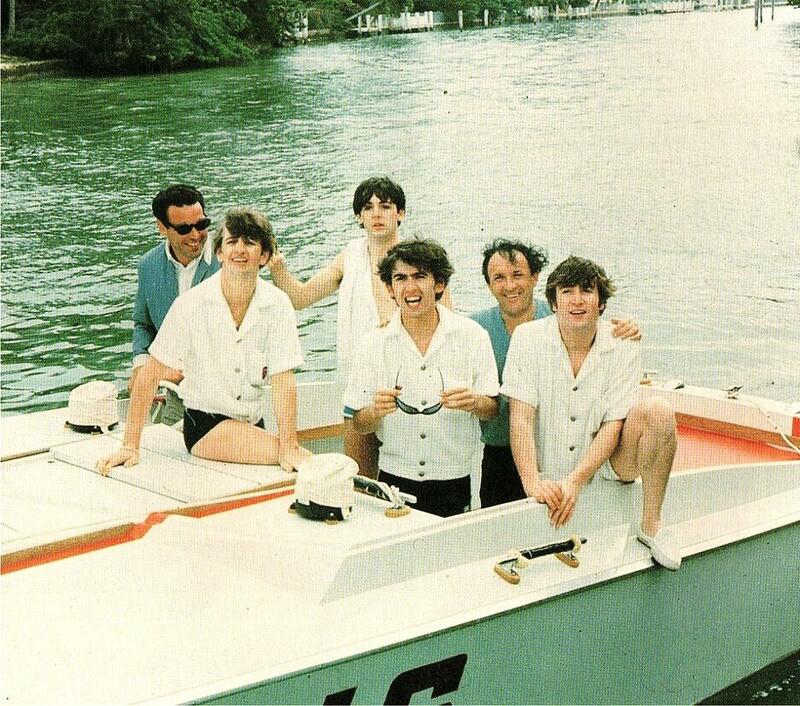 Owing to its new post war popularity and accessibility the Boat Show quickly became hugely popular, with the Beatles even opening the event one year. I wonder if there might have been a yellow submarine on display that caught their eye that year. The Beatles. On a boat. Image via. Back in 1956 the largest yacht on display was a modest 39 feet. Compare that to the largest one to be shown this year which comes in at just under 92 feet. It makes the one in ‘56 seem like a dinghy. The boats on show here to view range from small affordable boats and inflatables for the everyman, to spectacular yachts that most people can only dream of. Still, it’s nice to look. 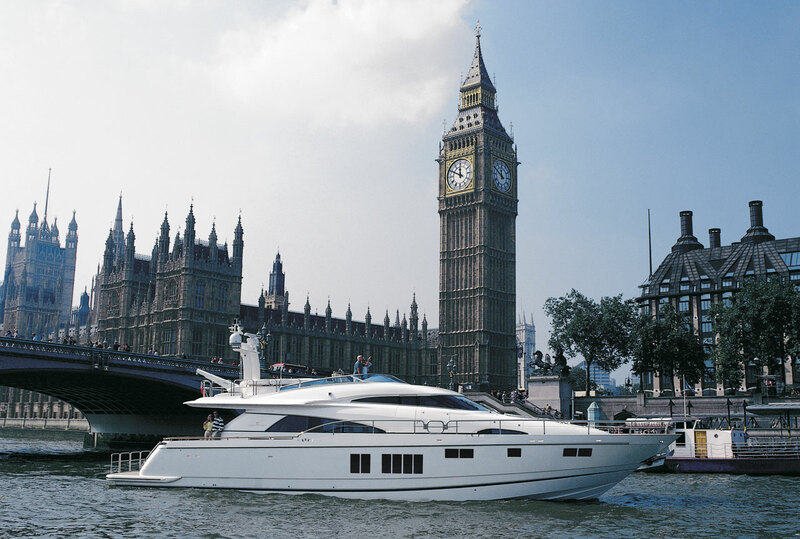 The Sunseeker 28 will be on show this year and at 28 metres and weighing 78 tonnes it is basically a floating home. So, if you have around £4,000,000 to spend, well you could easily spend it here. Thankfully, Sunseeker will be showing several boats, so no one need miss out. Of course once that boat has been purchased you'll need to consider launching it. The fuel tank is a whopping 9,000 litres so you will need £10,000 to fill her up. That’s a lot of BP Reward points. Of course these spectacular vessels on display will no doubt be kitted out with the finest of things available once in the hands of their new owners. Down here at the London Silver Vaults I see many things that would absolutely fit right in on board. For starters, once you have guests you will want to offer a little drink, no doubt. I would suggest the need for a smart ships decanter. Sterling silver ships decanter and coaster, 1997. Click here to view on our website. Of course your crew will probably be shaking up some tropical cocktails which means you may need a chic cocktail shaker. 1940s cocktail shaker. Click here to view on our website. Now, not everyone will want a stiff drink so you will want something beautiful to serve your teas and coffees with. And when sitting on deck on those long balmy evenings you can enhance the romantic setting with the flicker of candlelight. These hurricane lamps should withstand the breeze. If you're looking for some real razzle-dazzle, how about a showpiece ship on your ship? This Nef actually moves on its wheels and can hold a bottle inside. Pretty nifty, right? 1920s sterling silver galleon net. Contact for details. There are a wealth of nautical themed things available in silver from shell shaped menu holders to butter dishes and tureens. You could even go for a silver tray and have it engraved with an image of your own boat.The possibilities are endless and the choices are vast. In fact, choose silver for decking out your boat and the world really is your oyster.